BEAUTIFUL 5 ACRE WOODED BUILDABLE LOT WITH A 5 BEDROOM APPROVED PERC FROM HEALTH DEPARTMENT, PRIVATE CORNER LOT ON A QUIET CUL-DE-SAC AVAILABLE IN FAIRFAX STATION COMMUNITY at SINGING WOODS. New Home Building opportunity with lot that slopes from south to north, so appears to have walk-out basement potential. Easy access to Fairfax County Parkway- Rte 286, Ox Road - Rte 123, Tysons, I-495, and DC. 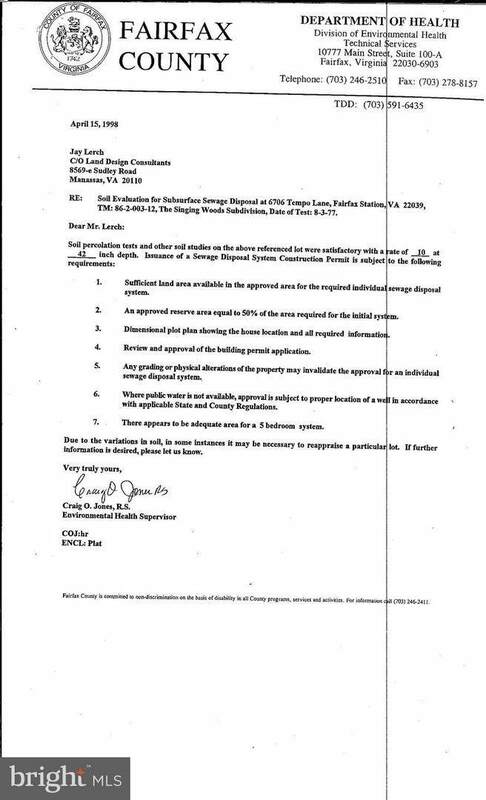 County Health Department Approval Letter for 5 bedroom conventional system, Yard Setbank sketch and Drainfield position plat in Documents. 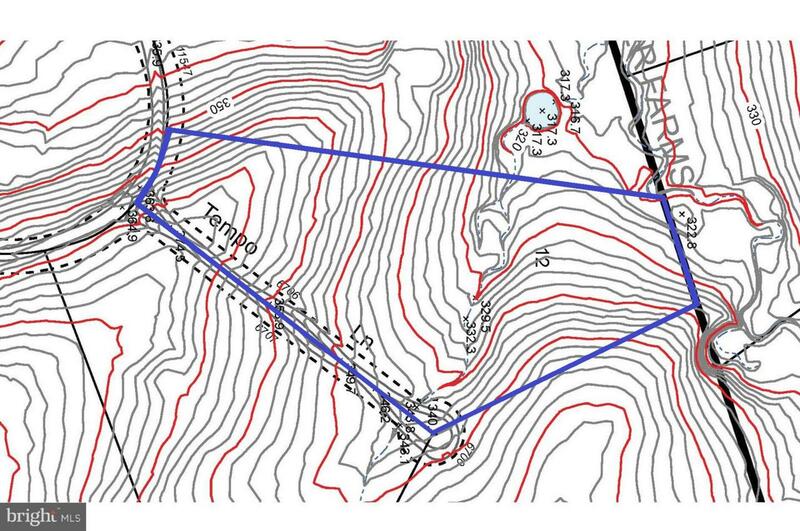 Also, see under Residential for New Custom Home proposal on this Lot.